The art-deco Chrysler Building in New York City, one of the world's most recognisable skyscrapers, has gone up for sale for an undisclosed price. Designed by American architect William Van Alen, the Chrysler Building is being sold by current owners Abu Dhabi Investment Council, which purchased the tower in 2008 for $800 million. The sovereign wealth fund of the United Arab Emirates' government is selling the Midtown Manhattan office building alongside real-estate company Tishman Speyer, as reported by the Wall Street Journal. The sale of the historic building will be marketed by commercial real-estate services and investment firm CBRE, which has declined to make the asking price public. The total figure will be tied to the lease of the land it sits on, at the corner of 42nd Street and Lexington Avenue, which is owned by the Cooper Union. The school raised the annual fee for the site from $7.75 million to $32.5 million in 2017, according to Bloomberg. 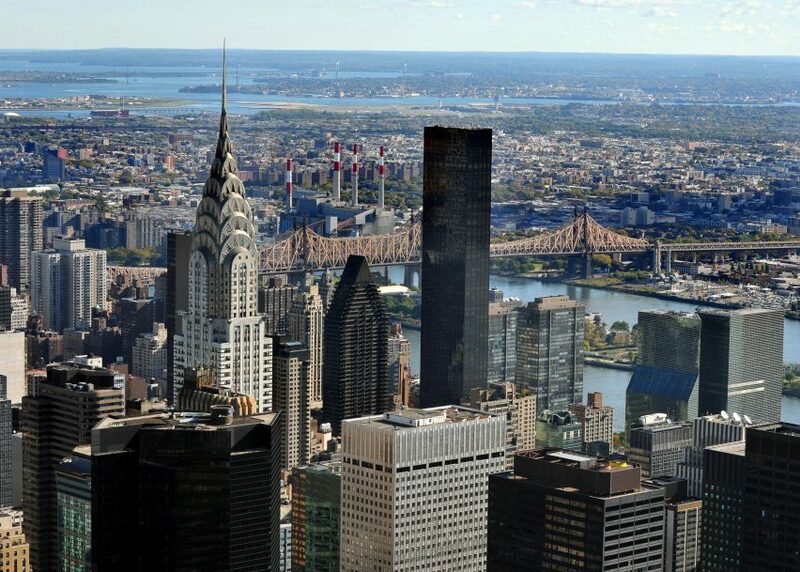 The Chrysler Building's future use is currently uncertain. Recent reports suggest that Amazon is nearing a deal to lease a portion of the space, while architecture critic Paul Goldberger suggested that it could be ripe for conversion into residential units. This approach, he said on Twitter, would be similar to that used at the Woolworth Building in the Financial District, which the Chrysler Building surpassed in height to become the world's tallest (a title it lost shortly afterwards to the Empire State Building). Goldberger also described the tower as "one of the most glorious pieces of architecture ever created – and still the most beloved skyscraper in New York". Built between 1928 and 1930 for US car manufacturer Chrysler, the building is most recognisable for its crown, which is clad in Nirosta steel and interspersed with triangular windows. The tower served as Chrysler's corporate headquarters from 1930 until the mid-1950s, and has many features that hint at this past. These include the bird-shaped gargoyles resembling Chrysler hood ornaments that extend from its corners. The skyscraper is one of the most famous examples of the art deco architecture style – recognised by combinations of geometric shapes and overall visual drama. The term is an abbreviation of arts décoratifs, and emerged from the International Exhibition of Modern Decorative and Industrial Arts in Paris in 1925. An art deco feature found on the Chrysler Building includes its top portion, with seven radiating arches on its four sides laid out in a sunburst pattern. The tower features a tiered construction in compliance with 1916 zoning laws in New York City, which restricted the height of street-side exterior walls. As a result, the building has a silhouette based on groupings of different-height columns, with setbacks on floors 16, 18, 23, 28 and 31. Built from a steel frame in-filled with masonry, the Chrysler Building is still the tallest in the world of its construction type, at 1,046 feet (319 metres) and 77 storeys. It also features a tall spire, added at the last minute to increase the tower's height in a "race to the sky" with 40 Wall Street. At its lower levels, the tower is clad in polished black granite and white marble. Other portions have white and black patterns, created in either marble or brick. Windows are arranged in grids across the exterior, designed without sills and positioned flush with the facades. Inside, the art deco style continues in a dimly lit, golden lobby with high ceilings, walls clad in African red granite and travertine floors, as well as ornate fixtures and designs from the time period. Photography is courtesy of Shutterstock.